Learning does not have to happen in the classroom, and neither should it be confined to such a place, either. In fact, there is no better and more efficient way to learn than to have it done through some play. Don’t wild animals learn to hunt through play in order to survive? Well, if you would like to introduce the wonders of levitation to your little one, perhaps the £29.99 Hoverkraft would be the perfect addition to your home. 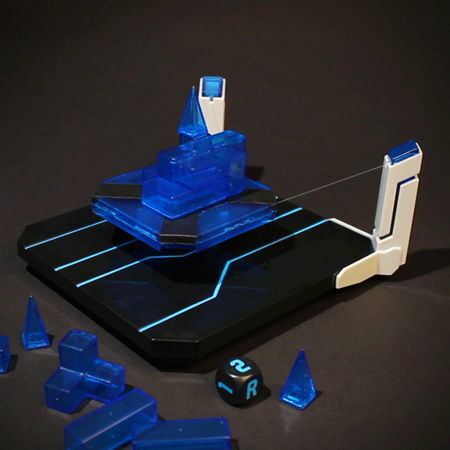 The Hoverkraft is a levitating construction challenge of its very own, where it comes across as a futuristic building and balancing game that defies gravity. You will definitely have your fair share of fun with this, as you prepare to experience hours of fun and unsporting behaviour along the way. Basically, this is like a high tech version of Jenga, where you and the other players will take turns to stack pieces on the levitating platform. If you happen to be the last person to stack something and the platform tumbles after that, you would be the sure loser. You can have up to 8 players joining in on the game for some much needed mayhem and stress relief.